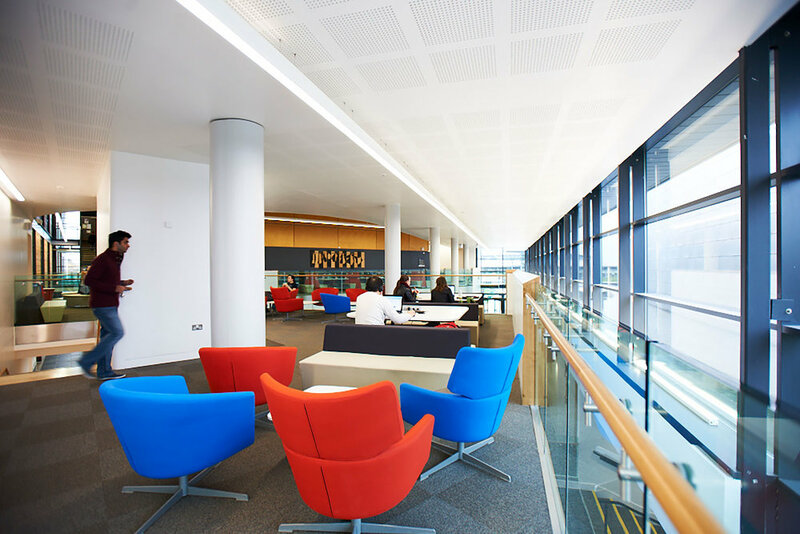 The remodelling of the Weston Atrium at deHavilland Campus is the first project of the University’s 2020 Estates Vision and was completed in September 2012. 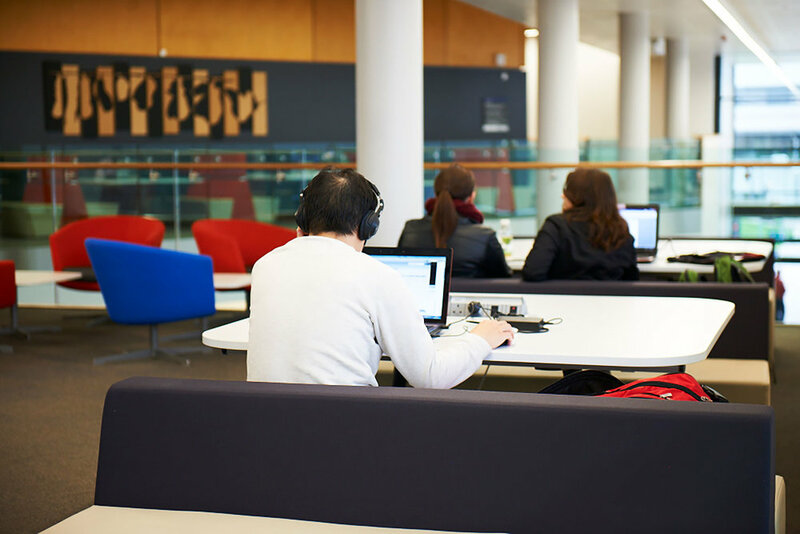 The Weston Atrium is a large enclosed space at the heart of deHavilland Campus linking the Academic Buildings, LRC and Weston Auditorium. While a focus for substantial pedestrian traffic and University events, its nature as an unheated semi-external space did little to encourage informal congregation and provide opportunities to meet, learn, relax or socialise. It was a space which lacked clear ‘ownership’ and was utilitarian, uncoordinated, tired and facility poor. However, it was recognised that the existing space had great potential and following an intensive consultation process with internal stakeholders, the Weston Atrium has been transformed into a dramatic, facility rich, comfortable, informal learning, meeting and socialising environment – a place that encourages people to linger and congregate; to learn, meet, and relax both during the day and into the evening; a place to sit without pressure ‘to buy’; a place that is more fluid and accessible. MCW architect’s conceptual design proposed the insertion of a ‘study deck’ at first floor level that provides a 24/7 space for students to study while retaining flexibility on the ground floor to host large scale events and exhibitions. The project also provides a dedicated space for the Students’ Union and a new Box Office, creating a new shop front for their services. The location was logistically challenging and the project was delivered to a restricted and intensive programme over the summer period. 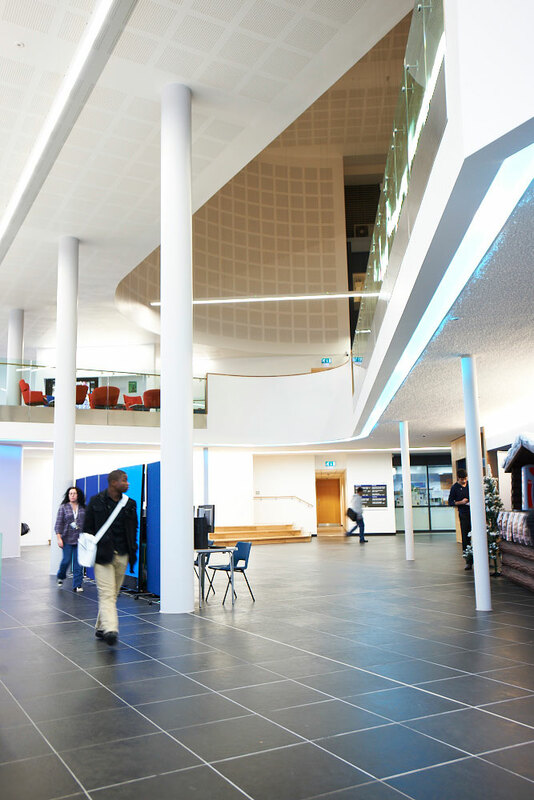 The Weston Atrium opened on time to much acclaim and positive feedback from students, staff and visitors alike.